AIRism provides cool comfort for a range of situations, all year round. It is lightweight, breathable innerwear. 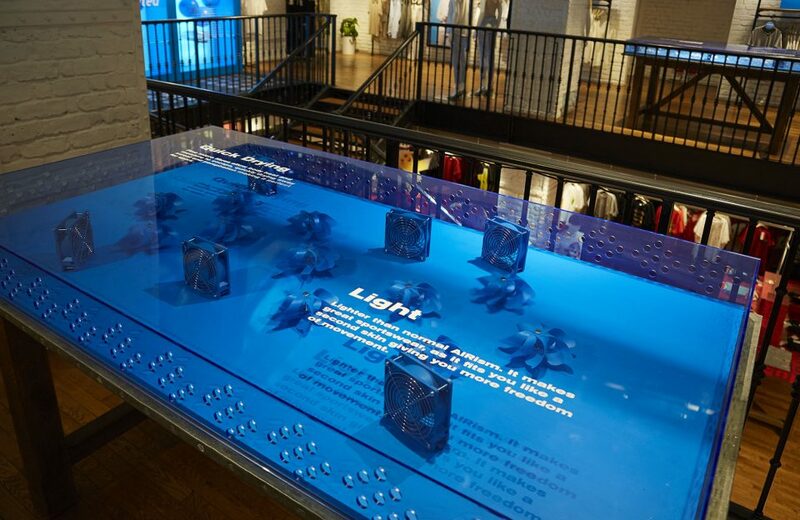 Working with creative agency Anyways, we made the conceptual sales area at London’s flagship store into a place where customers could experience AIRism. 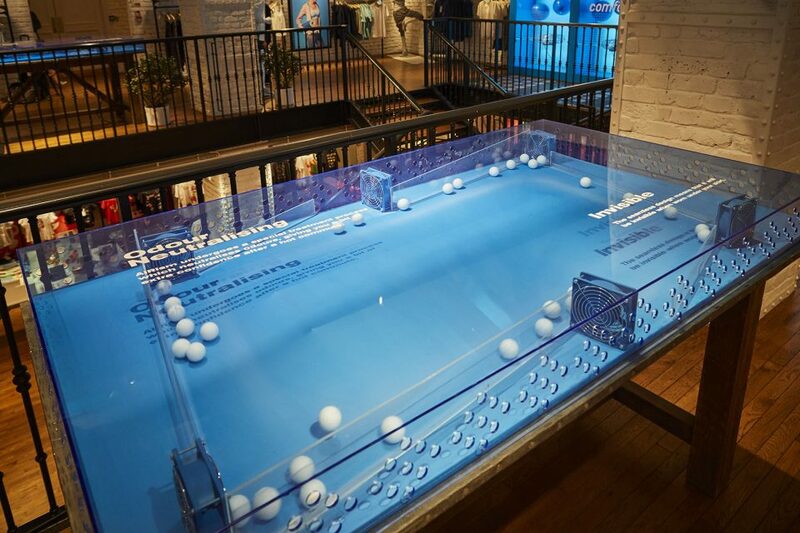 Utilising a range of production methods and materials, we created fun displays using air to generate movement. Fans within acrylic display cases provided airflow to spin pinwheels, race balls around and inflate parachutes. Four large enclosures were also built with large fans which appear to be floating in mid air. 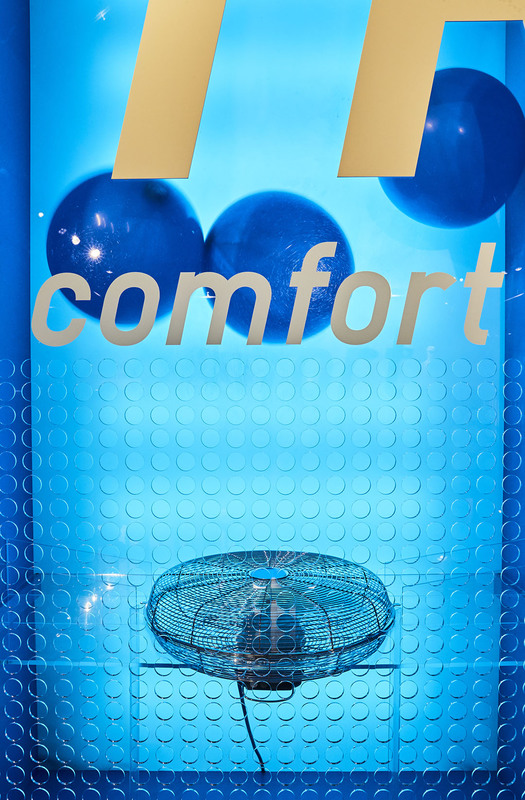 These fans circulate a powerful gust in which balloons playfully dance in the air representing air molecules. Each enclosure has a back lit panel and laser cut clear acrylic face to enhance the visual impact. Again, Uniqlo make use of creative installations to give their customers a unique and memorable retail experience.